Cleanses and takes care of the skin, giving it a wonderful softness and smoothness. 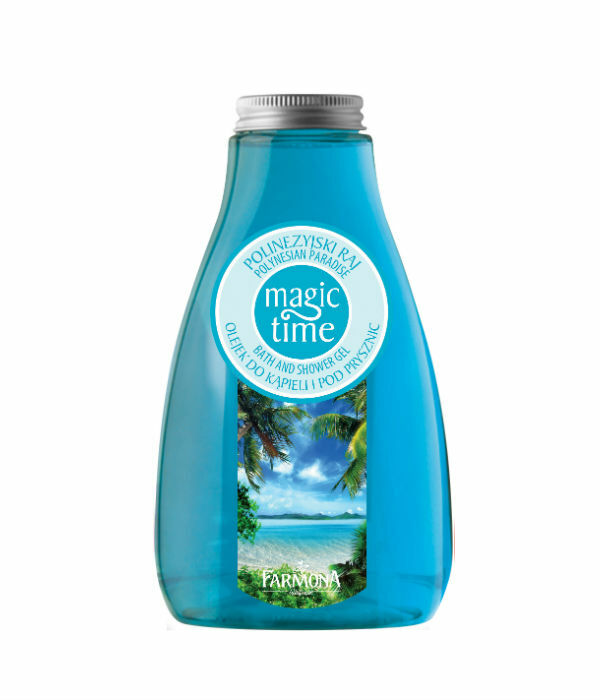 Bath with the oil wraps you in satin foam and brings back paradise memories enclosed in a warm summer note. Aqua (Water), Sodium Laureth Sulfate, Cocamidopropyl Betaine, Sodium Chloride, Parfum (Fragrance), PEG-7 Glyceryl Cocoate, PEG-40 Hydrogenated Castor Oil, Methylchloroisothiazolinone, Methylisothiazolinone, 2-Bromo-2-Nitropropane- 1,3-Diol, Magnesium Nitrate, Magnesium Chloride, Disodium EDTA, Hexyl Cinnamal, Butylphenyl Methylpropional, Limonene, Linalool, Hydroxyisohexyl 3-Cyclohexene Carboxaldehyde, CI 42090, CI 19140.